Today I had the chance to get a friend of mine from a mastermind group on the show today. This man knows how to take action and move forward with a project and I wanted to chat with him about that. He worked in the wireless industry almost his entire life but found himself wanting and looking for more. He wanted to be able to spend time with his family and help others at the same time. After joining a mastermind group things really started to move for him and he created a business where he is able to do all of the things at the same time. 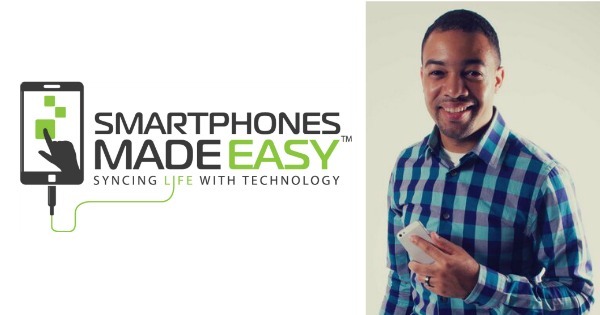 Smart Phones Made Easy was born and Rey Brown is making some serious waves at a fast rate of speed. It seems like he went from idea to full on business with podcasts and everything in no time flat. We get to hear some of Rey's story and some of the struggles he had to overcome to get to where he is today. Click Here to Thank Rey on Twitter !